This level have normal difficulty and you need to make just actually striped candy with colorbomb that will also help to complete other orders. 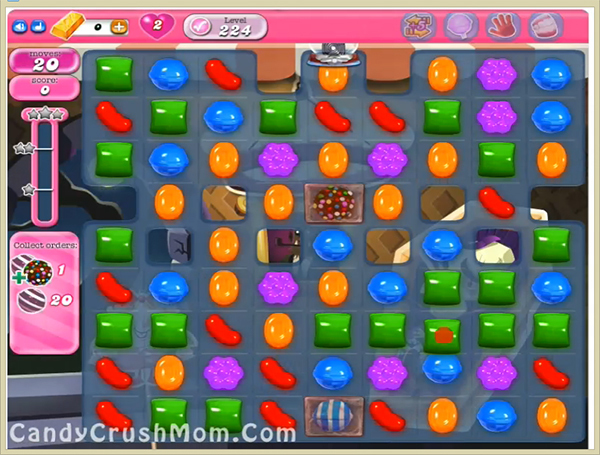 First try to play near to center colorbomb that you already get with this level and combine with striped candy. After try to make other striped candy to complete all orders. We completed this level with 61320 score using striped candy with colorbomb combo before six moves and got two star score at the end.